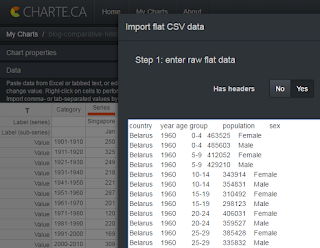 Great news: charte.ca now supports comparative histograms. This kind of charts comes handy when you want to compare two or more groups of series side-by-side. In most cases, this type of charts is used to draw a population pyramid, but it has other uses as well. The following chart shows country population by age group, for multiple years, comparing male and female population. 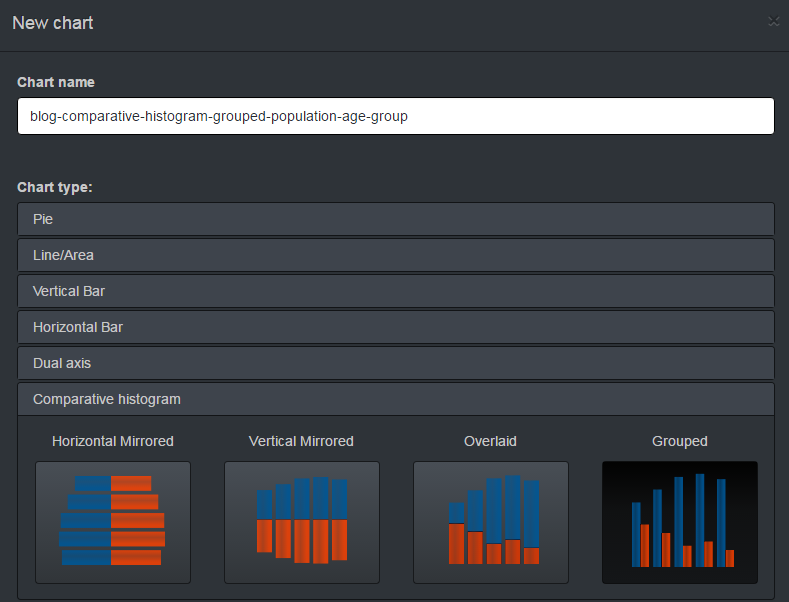 This post discusses comparative histogram creation process step-by-step. After you click "Done", the import wizard will create a pivot table from the flat data and populate the editor data grid. 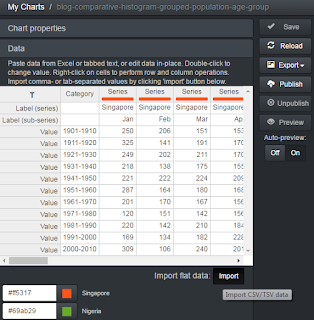 Save the chart, tweak chart appearance by changing colors for the Male and Female series, adjust chart size and font size and the chart is ready to be published! 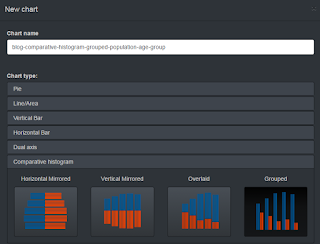 Please pay attention to the age groups: on the population pyramid chart, they are sorted in the descending order - greater values (100+) at the top, smaller values (0-4) at the bottom. On the grouped chart in the beginning of the post, they are sorted in ascending order: smaller values (0-4) on the left, greater values (100+) on the right.